Living mindfully means renewing yourself each and every day. When you embrace change and growth as a natural part of life, you are more likely to stay open in the moment and consciously respond instead of reverting back to old habits that no longer serve you well. For instance, if you find yourself feeling angry, you may choose to observe the emotion as an energy passing through you instead of allowing it to consume you. 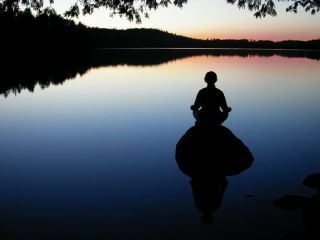 Mindfully choose calmness by focusing on your breath and seeing yourself as ever-changing for the better. Staying open in the moment makes space for positive change and the very best of you in each rising moment. I needed to read this blog today…i will try to use these tips when feeling angry.Thank’s Fay!